The Camelback Podium bottle removes the problem of having to pull open, and push shut the valve on your water bottle with its bite-like Jet Valve. 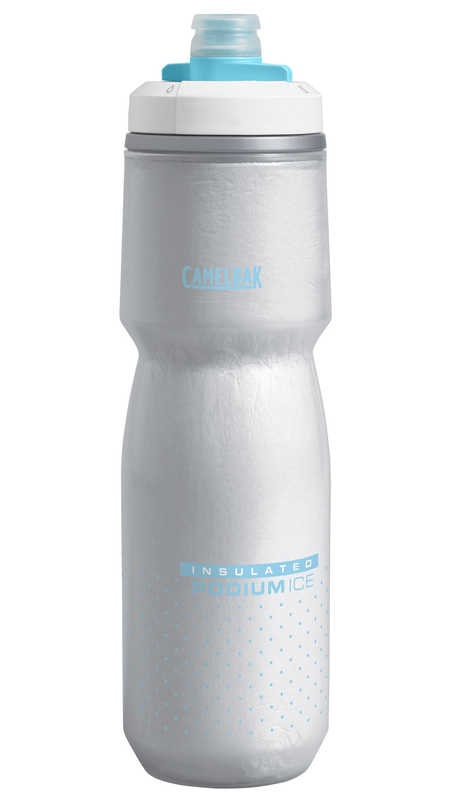 Camelbak's new valve self seals to let you sip or even squirt your beverage of choice with no fear of leaks. The Garmin-Sharp pro cycling team likes the effectiveness of the CamelBak Podium bottle so much that they choose to use them in training and during races. Give the Podium a squeeze and you'll see why! When you're out riding your bike in 100-degree weather, it would be nice to take a sip from a refreshingly cool water bottle. 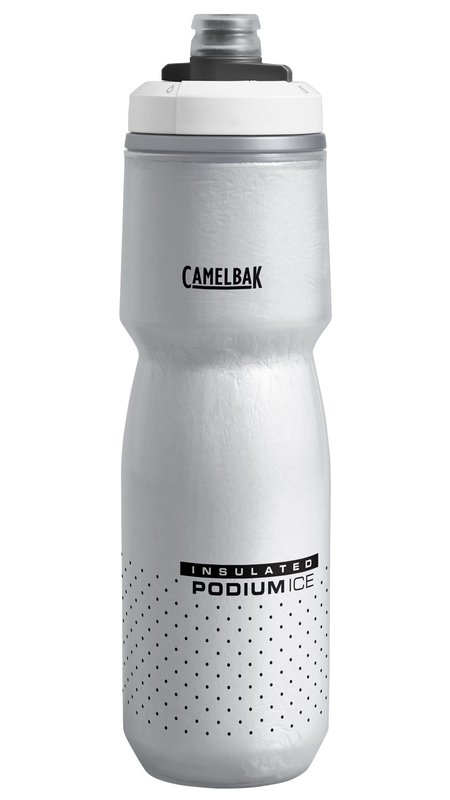 With the Camelbak Podium Ice 21 Oz Bottle your icey cool beverage will last thanks to the Aerogel insulation, which keeps your drink 4x as cool as a regular water bottle.